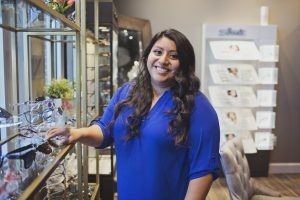 Reina Mateo has been working in the eye industry for the past 5 years. She has an indepth understanding of the eyes from advanced medical testing of the eyes to applying her optical knowledge in the fabrication of glasses. She is ABO and NCLE certified. We are so proud of her dedication and happy to have her on our team.